Download our VR white paper below and, if interested, schedule a free VIP demo visit to Austin, Texas. We’ll arrange for your hotel and, if you purchase a system, we’ll reimburse your flight expenses! 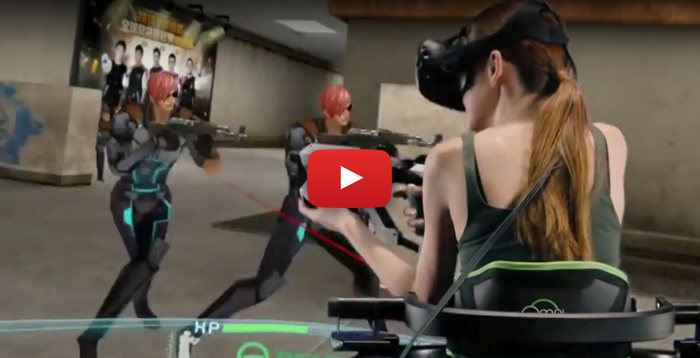 Ongoing prize contests sponsored by Virtuix, HTC, and HP stimulate repeat play (avg. 7x) and build a community of frequent players. Reach a new audience you didn’t have before! Radically improved and optimized for quick player setup. The only way to run in VR! Built-in staging area and touch screens for high throughput and 4:1 player-to-attendant ratio. Including interactive mini-games and social media sharing of gameplay with your logo and signage built-in. Featuring all popular game genres appealing to a wide range of guests. Don’t settle for just a shooting gallery! 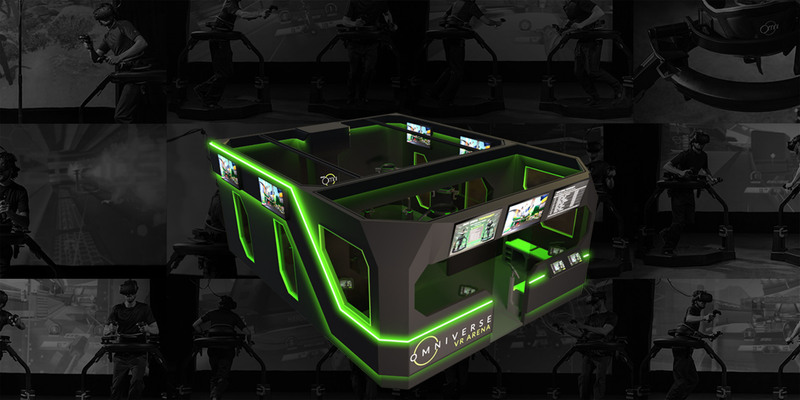 VR ARENA has all the benefits of free-roam VR, but is much more affordable and compact (375 ft² / 35 m²). The attraction is unlike anything we’ve done before. 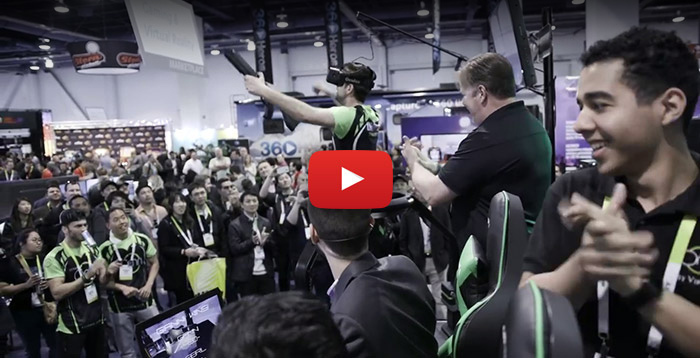 VR ARENA utilizes the proven and mature Omni motion technology, now optimized for out-of-home esports. * Financing for qualified buyers subject to a credit check and loan terms. We’ve been doing esports since 2016!